So you see what I'm dealing with here. I thought momentarily about trying a few different preparations and seeing what panned out, but quickly abandoned that idea for fear of excessive fussiness. I wanted to give my pile of fronds destination and purpose, and I wanted to do so post haste. So I went long - six cups long -- on what, in retrospect, was the most obvious choice: pesto. I started with Melissa Clark's basic formula: fronds, toasted almonds, garlic, olive oil. You could stop there and have something worthy of fridge space. But I ended up adding a bit of orange zest and some Turkish chile to round things out, and I'd recommend both additions. 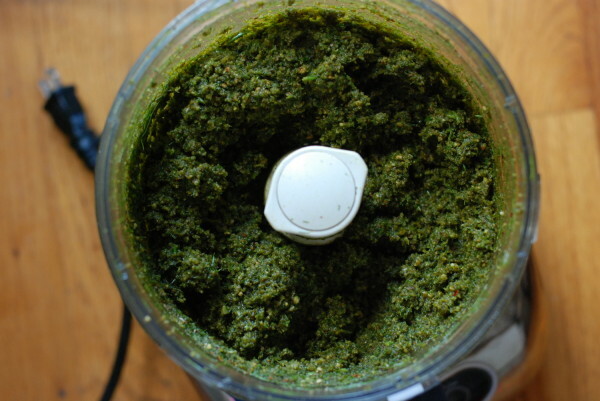 When the pesto comes out dense, as it did in the photo above, you can just add more oil. If you're going to use it relatively quickly, you can even add a bit of water to help thin it out. We had it on tarts for Friday night dinner, layered under shaved zucchini, crushed tomato, and parmesan cheese. For Father's Day dinner, I folded a bit of the pesto into tomato sauce for campanile (those little bell-shaped pasta), which I topped with a carefree helping of olive oil-toasted bread crumbs. I've still got a tub of it left in the fridge; whatever I can't get through before the move, I'll freeze in small containers for use later this summer. 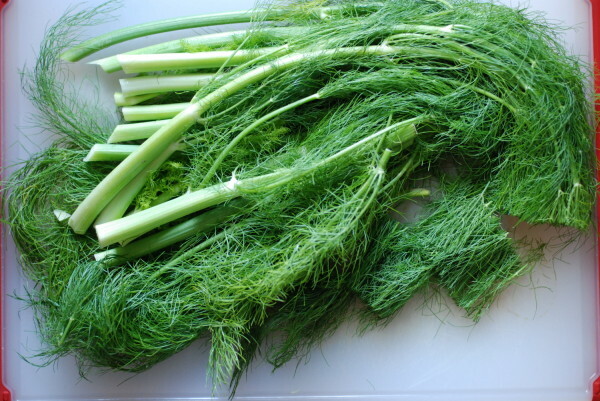 As for those pesky fennel stalks, they are far more stubborn than the bulb, slower to yield. That said, a long, lazy bake in a cast iron pan did the trick, and now I'm addicted. I sprinkled them with sea salt and pepper, drizzled a tablespoon or so of olive oil and about half as much honey, and baked them in a cast iron pan at 400 degrees for about 40 minutes. The result was a pile of soft, golden stalks, sweet and yielding and delicious as I'd ever tasted. They made a great cook's snack, but next time, I'll try layering them on a tartlet, on top of a smear of that frond pesto, finished with some honey or orange marmalade and maybe some soft cheese. Clark calls for an 8:1 ratio of fennel:nuts, but I prefer more nuts in my pesto. Because I used whole roasted salted almonds, I didn't need to add any salt. If you're using unsalted nuts, add salt to taste - probably no more than 1 teaspoon, but I'm guessing here. 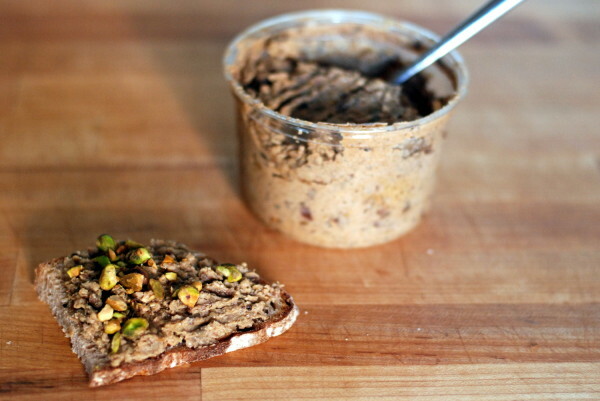 Combine all ingredients except oil in a food processor. With the motor running, drizzle in olive oil 1/4 cup at a time, until pesto reaches the desired consistency. If adding salt, add by the 1/2 teaspoon to taste. Store in the fridge in an airtight container topped with a thin layer of olive oil. Keeps at least a week, probably two.